Involved with LandWorks from the beginning, Det Sergeant Anya Teakle offers an honest and compelling perspective on rehabilitation from the ‘other side’ of the fence, urging you to answer some tricky questions. As a police officer of 25 years, you could say I came to the rehabilitation world a bit late. I have been the police manager of TurnAround South Devon for 4 years now, sharing the management of complex human beings who happen to be burglars and robbers, with Probation, drugs workers, housing advisors and the Prison service. There are 12 people in our small team, and between us we dedicate 500 hours a week to help reduce crime, reduce further victimisation, and in so doing hopefully make a sound contribution to the rehabilitation and prevention agenda. The Police refer to these people as ‘offenders’, Probation as ‘clients’, and Drugs workers as ‘service users’. None of these labels are necessarily helpful. These are people, all with a story to tell, if anyone is interested in listening. When you scratch deeper it becomes obvious that many, not all, but many were victims long before they were offenders. Ask yourself, how would you have turned out if your mother, who happened to be a well known local prostitute, thought that giving her son a syringe full of heroin for his 10th birthday was going to help him in life? Angry, confused, and prone to repeating the dysfunction he learnt when he was small? Probably. I often get stick from some who misunderstand the agenda within the unique environment that is the integrated world. It is not that I have gone soft, it is merely another way to help people whilst keeping the community safe. The traditional approach doesn’t work for everyone. TurnAround’s approach must always be complementary to other traditional police methodology. Question for you: Once an offender, always an offender? I would argue, NO, not always. But successful rehabilitation needs investment and vocational people with humanity at their core. Enter LandWorks. TurnAround was approached by LandWorks over 3 years ago who wanted to explore whether there was any potential overlap between our two schemes. Of course there was, and conversations led to plans, and ideas merged into actions. Turnaround has been able to identify suitable referrals. Darkness cannot drive out darkness. Only light can do that. Hate cannot drive out hate: only love can do that. What I mean by this is, if we continually punish people after their sentence is over, and alienate & exclude them from society, we promote social isolation and do nothing to discourage further criminality. If we try to understand why, and help them look at the harmful factors that they can remove, we then need to find positive activities to assist recovery. Rehabilitation does not happen overnight and we do not cure people; nor can we erase people’s terrible childhood memories. But we can remind people that it is only the foolish man who trips up on things behind him. We encourage people to move forward. 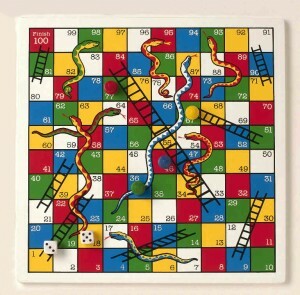 We continually play a game of snakes and ladders, encouraging people to aim for the ladders and avoid the snakes. Of course, there are plenty of snakes, but there are also good ways to deal with the snakes too. A relapse doesn’t mean someone has failed. It may mean they need another go, or a little bit longer, or in the worst cases, some expensive ‘cell therapy’ (prison). Returning to the subject of darkness, LandWorks does not provide everything needed in the world to make it perfect, but they do provide a torch should someone want to have a look to see what it is in the darkness to make the world feel better. Respect, inclusion, trust, and understanding are what they offer in return for honesty, persistence, hard work and no crime. Thank you LandWorks. We salute you.